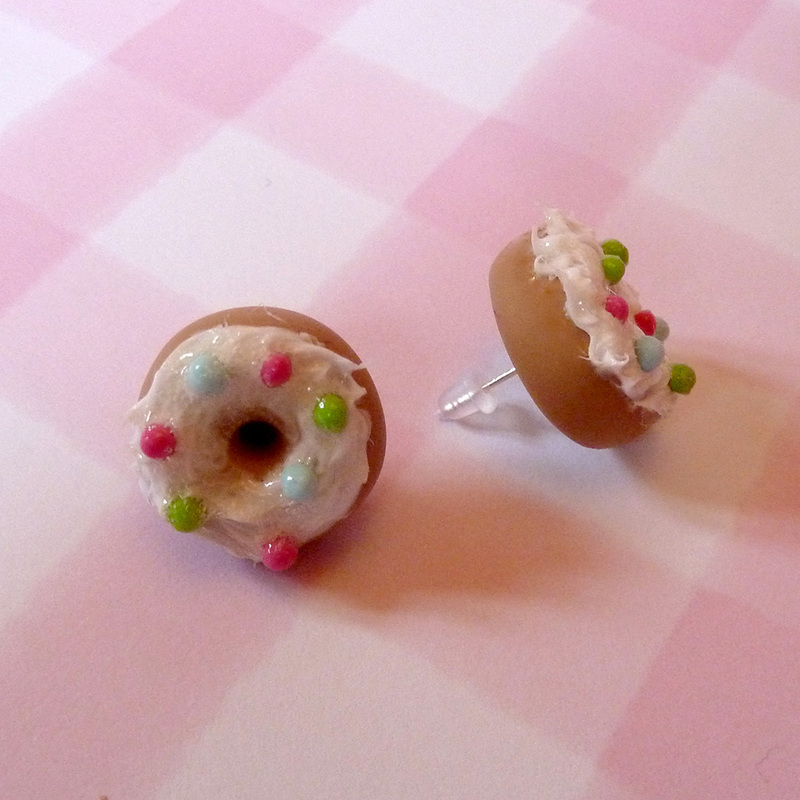 These super adorable donuts are individually hand crafted, and come on Sterling Silver hook or stud earrings. Please let us k now whether you would like Strawberry with Chocolate icing, Vanilla with hundreds and thousands, or Chocolate with sprinkles. 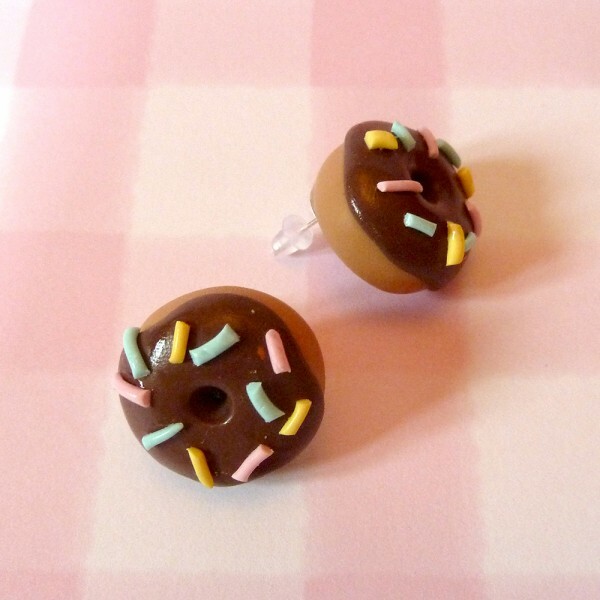 Please mention at the checkout if you prefer studs or dangly earrings.